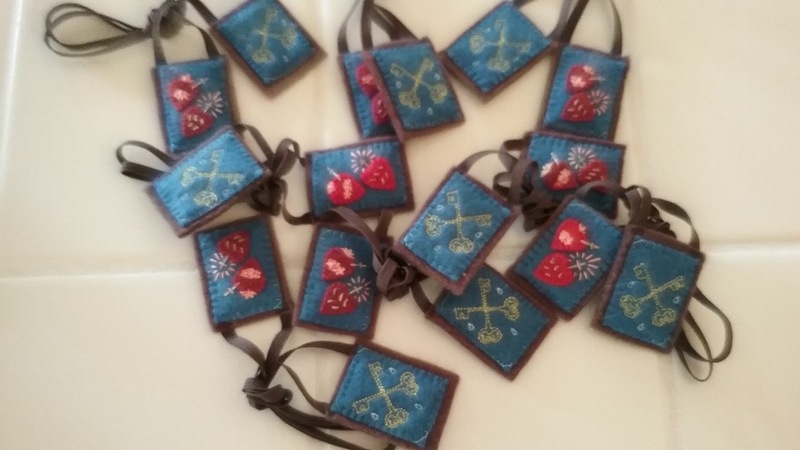 As a customer who has bought several scapulars from Tracy, I can vouch for their beauty and quality. They are wonderful! Tracy Cruz. 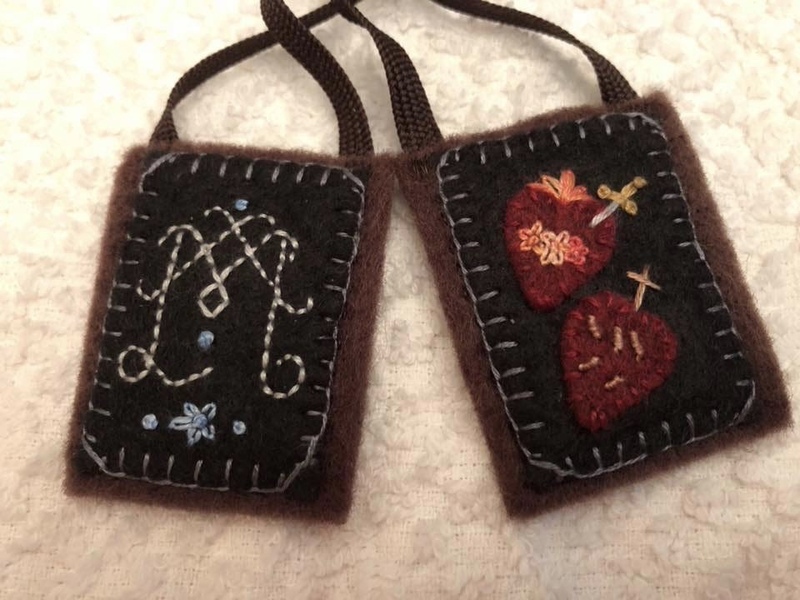 I can personally attest to both the quality and the beauty of The Brown Scapulars that Mrs. Cruz makes. 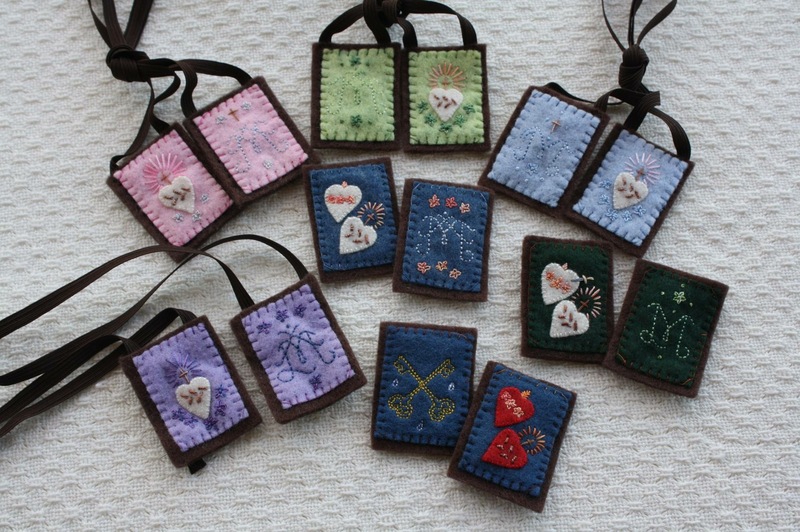 I have bought several from her. Mrs. Cruz, I just wanted you to know that my father died January 1, 2019. 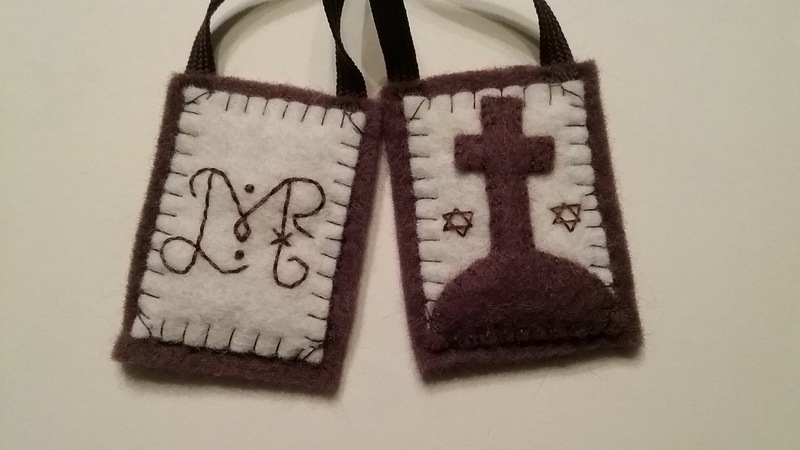 He received the Sacrament of Penance, Last Rites, and died wearing one of The Brown Scapulars that you made. Thank you so very much. Michael, Member of The Confraternity of Saint Peter. 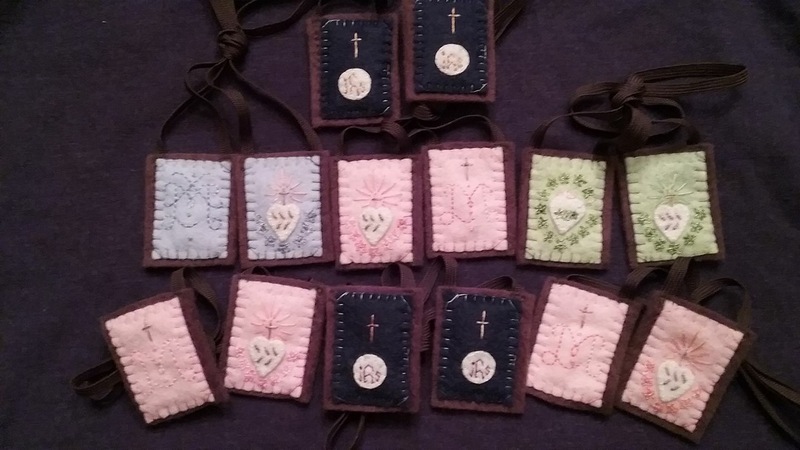 What is each scapular for or are they all the same as the Carmelite’s brown scapular? Has the St. Benedict’s cross been blessed using the St. Benedict’s blessing? 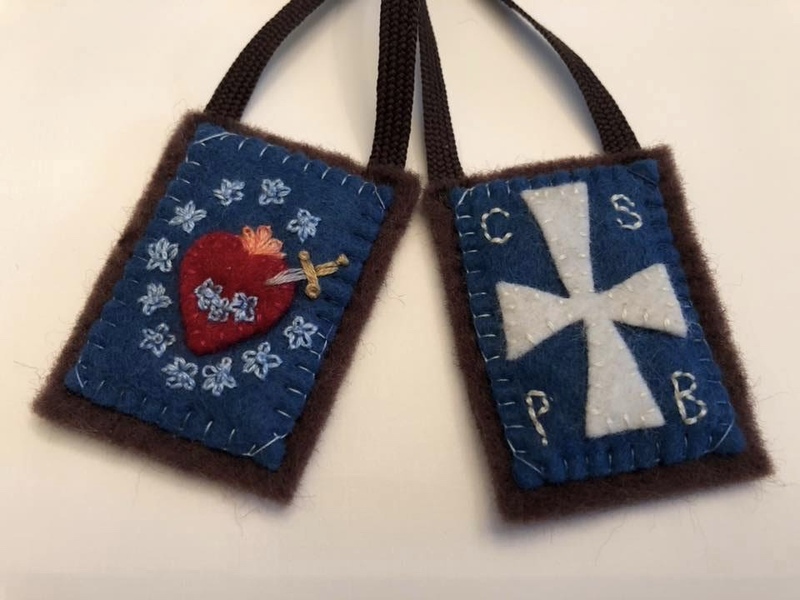 Where does one order these scapulars? 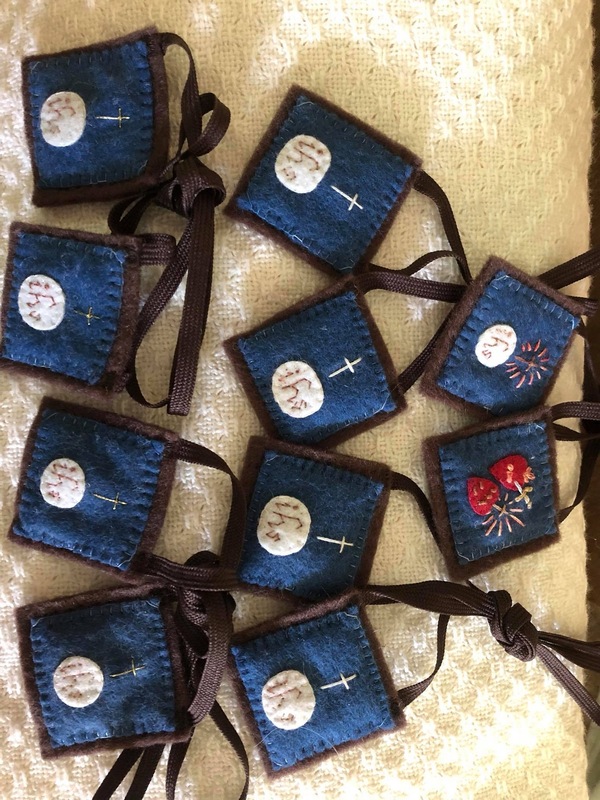 Yes, these are all brown scapulars handmade with 100% brown wool connected by a cord to be worn over the shoulders. The rest is decoration. 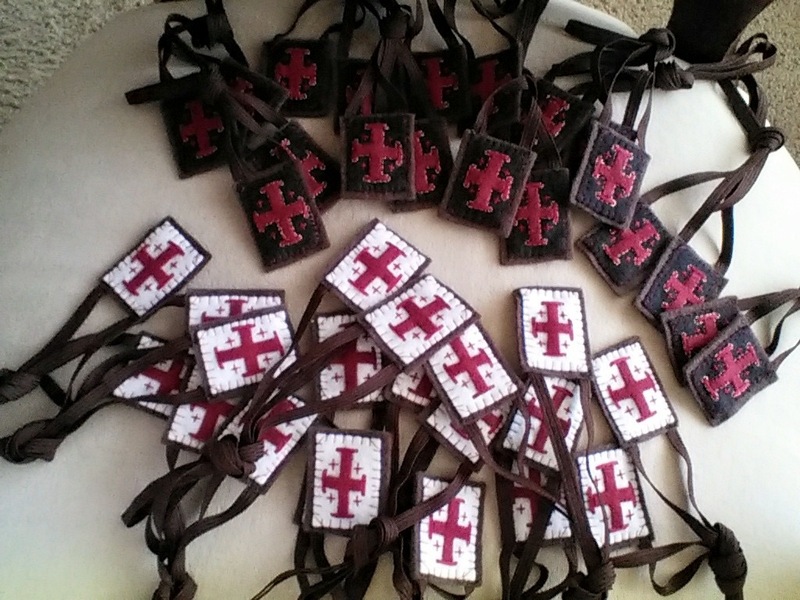 The medals are each blessed traditionally with exorcism prayers for St. Benedict medal then the blessing prayer. 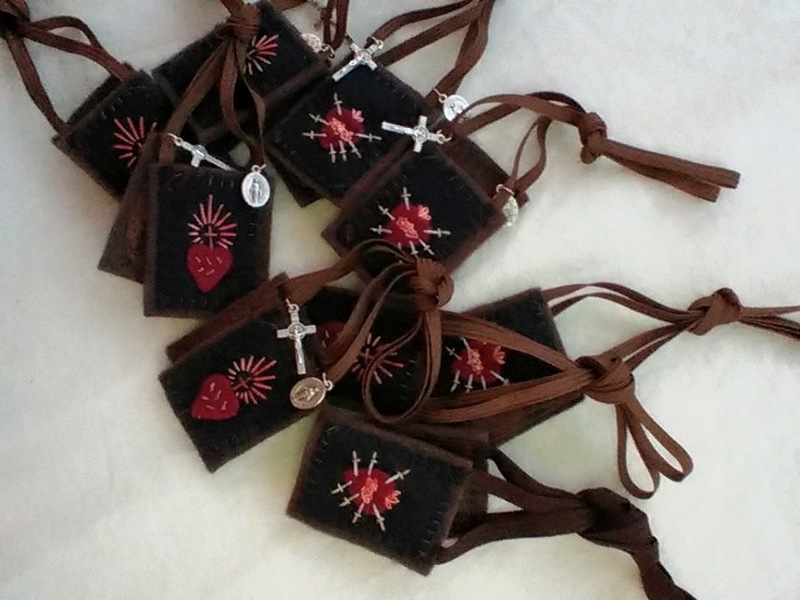 Each scapular is the traditional brown scapular, and the cross and medal inside have been blessed. 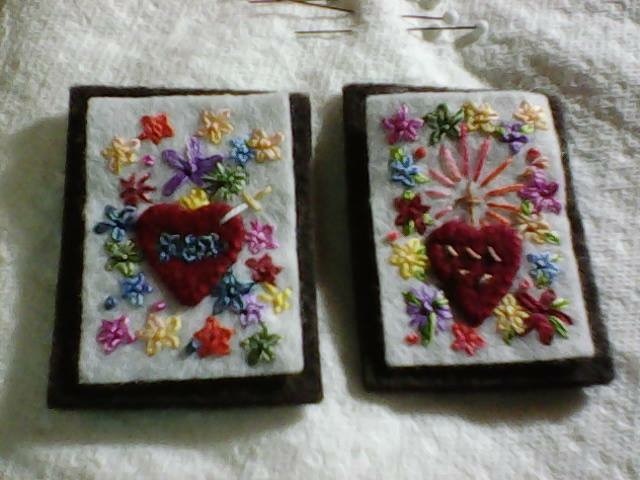 The top layer, often a different color, and the embroidery is chosen by the purchaser. The two hearts are common choices, but the possibilities are nearly endless. 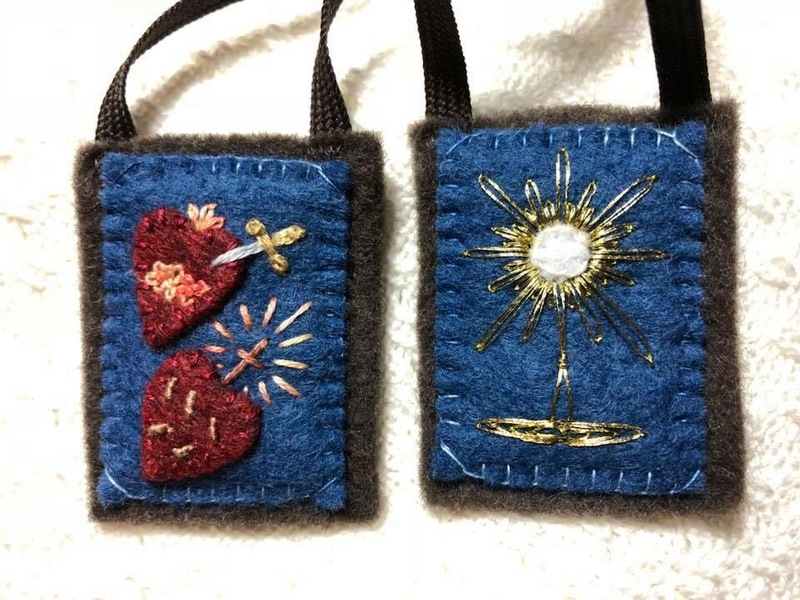 Could the Seven Sorrows scapular be worn by one of Father Ripperger’s SMD Auxiliaries? 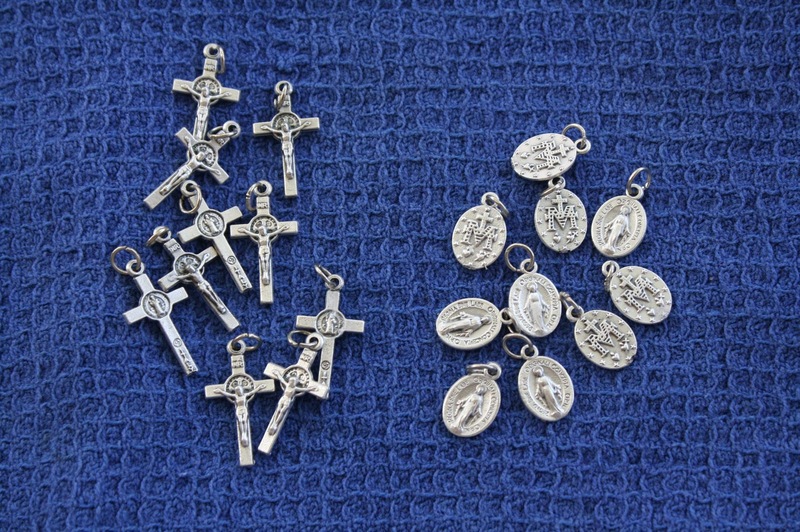 It is my understanding that the St. Benedict medals are blessed with the exorcist blessing by a Benedictine monk or priest authorized to do so. 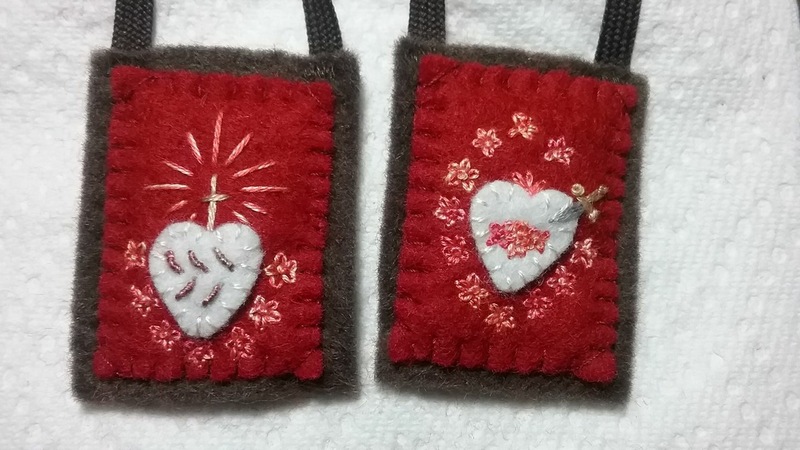 Also, I read that you adorn certain scapulars with the Mother of the Seven Sorrows heart and daggers. How to purchase? Is there a site to order? 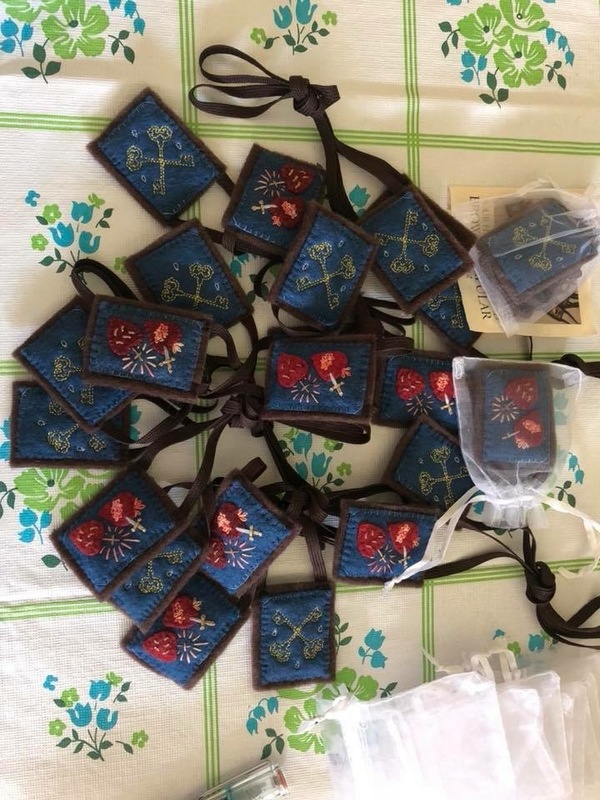 My wife and I recently received our two scapulars! They are beautiful and it was definitely worth the wait. 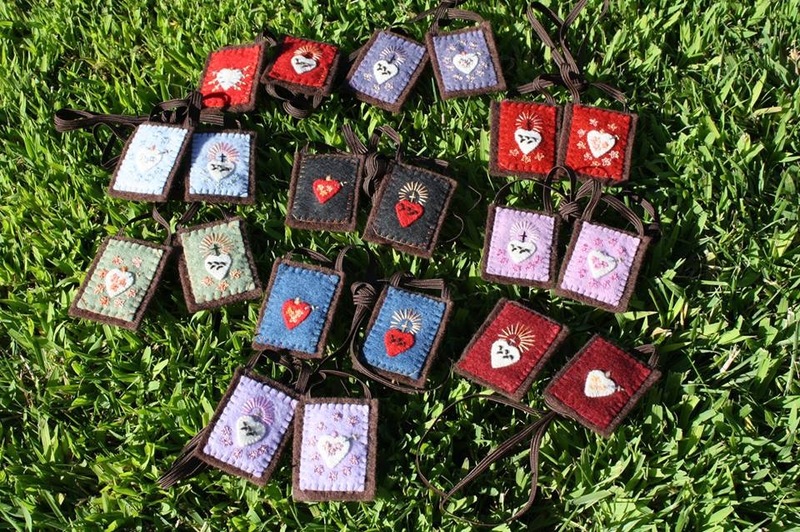 The details in the designs are intricate and display handmade beauty as one of a kind pieces. 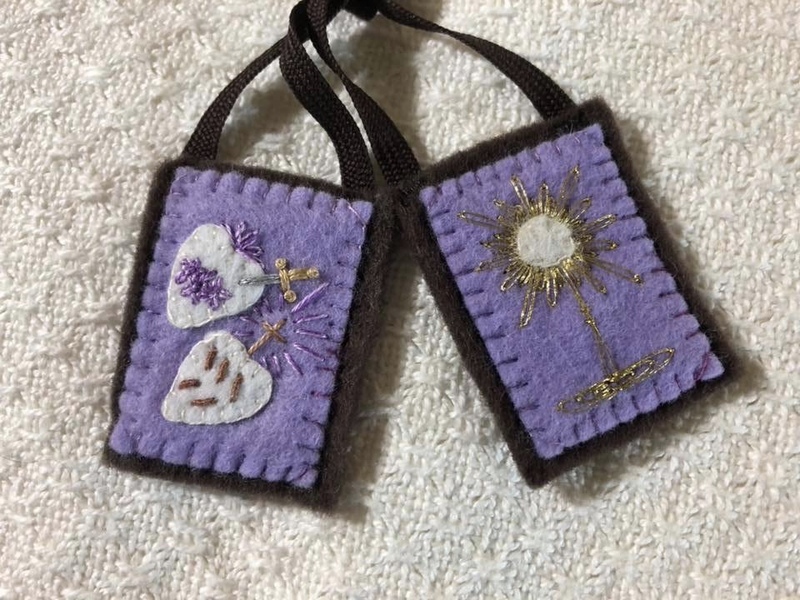 I hope to order more soon as gifts for family and friends. Tracy, you do great work. Thank you! !